Once again I have been struggling to keep this blog up to date although August has been very much a family month for me with a family reunion weekend, my nephew’s wedding and a trip to Scotland to visit relatives. 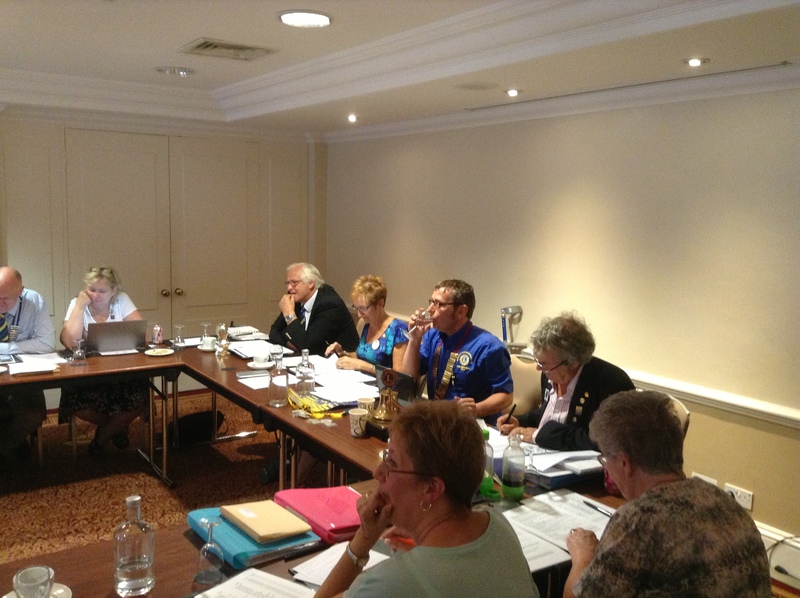 Lions is never far away, however, and August has seen my first cabinet meeting as DG as well as the first batch of club visits. So let’s start with the cabinet meeting and let me start by explaining what this is. The district cabinet comprises a number of district officers who can be broadly divided into three categories. The district is divided into three regions and each of these is divided into three zones each containing between five and eight clubs. On district cabinet there are therefore three Region Chairmen and nine Zone Chairmen and their role is to facilitate good communication between district and clubs in both directions and to encourage clubs to work together. 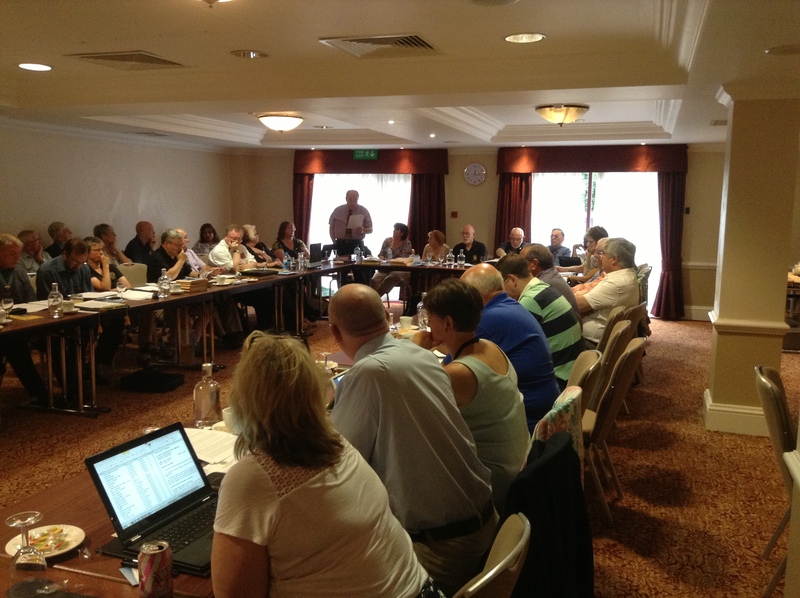 Each zone chairman will visit each of his or her clubs twice during the year as well as holding four zone meetings. The region chairmen are there to support the zone chairmen but are also important members of both the membership and leadership teams. Next there are three service committees, International, Health and Youth who each comprise six or seven officers responsible for promoting specific Lions’ projects that fall within those portfolios. For example the International Committee includes the Lions Clubs International Foundation Officer (LCIF), International Relations, Water Projects and Street Children, Health includes Sight, Diabetes, Speech and Hearing and Physical and Learning Disabilities as well as the environment and Youth includes Young Leaders in Service (YLIS), Young Ambassador, Leos and Youth Exchange. Last but not least are the administrative committees, the Global Membership Team (membership recruitment and retention), the Global Leadership Team (identification and development of Lions leaders), The Communications Team (Public Relations, internal and external, webmaster, competitions, Almoner), The Finance and Administration Team (Treasurer, Secretary, Sergeant at Arms, Insurance, Health and Safety, Vulnerable persons, events, convention) and the Long Range Planning committee. The latter two are chaired by the 1st and 2nd Vice District Governors respectively and cabinet is completed by me as DG and chairman and the Immediate Past District Governor. Cabinet meets four times during the year and the first meeting was in August. One of my duties as District Governor is to produce a newsletter every month and more details of cabinet can be found in the September edition. All of the newsletters are available online at http://www.lions105m.org.uk/newsletter.htm. The September edition also sets out our International President’s theme for the year, “Follow your dream”. Although I write all the content I am very lucky to have an excellent District Secretary, Pauline, who takes my ramblings and puts them together into newsletter layout. As well as cabinet I have visited four more clubs since the last post, Hinckley & Burbage, Towcester, Worcester and Coventry Godiva and at the last of these had the pleasure of being a part of the induction of a new member. I also attended my own club’s business and social meetings and took part in an experiment using webinar software as a first step towards wider use of such technology for one of the four Council of Goverors meetings and other Multiple District meetings. Coming up I have four more club visits in September, a Last Night of the Proms event organised by the seven Solihull clubs, my first 10K run for Christine’s charity of the year with Shirley Lions, the first evening charter anniversary dinner of the year with Bilston and Willenhall Lions and a sponsored walk and funday being organised by Birmingham Acocks Green Lions Club. October is even busier!